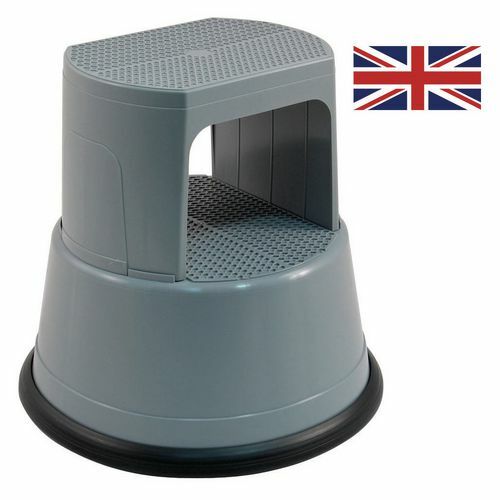 A safe, secure and long lasting plastic step stool. Incredibly tough - will not dent, scratch or rust. Three spring-loaded easy-glide castors compress under weight. Protective rubber base bumper ring holds the step firmly to the floor. Health and Safety label included which details correct usage. Overall H x Dia: 425 x 440mm, top Dia: 300mm. Top shelves or rails that are high up can be difficult to reach when standing on the floor, so having a safe piece of equipment that is convenient for employees to use would be ideal. The fully assembled plastic kick step is a great addition to a workplace such as a shop floor. 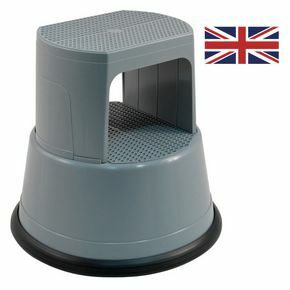 They are safe, secure and hardwearing plastic step stools which are manufactured in Great Britain. As they are incredibly tough they will not dent, scratch or rust, which can be a risk with metal steps. The texture tread surface can't come loose, reducing the risk of accidents and they are supplied ready bolted with no chance of poor assembly which can cause breakages and falls. Three spring loaded castors compress under-weight; this allows the protective rubber base bumper ring to hold the step firmly in place on the floor. There is a health and safety label included which details correct usage and when unloaded the step can easily glide from one place to another with the kick of a foot. They are available in three colours; blue, grey or red and they have a weight capacity of 150kg. 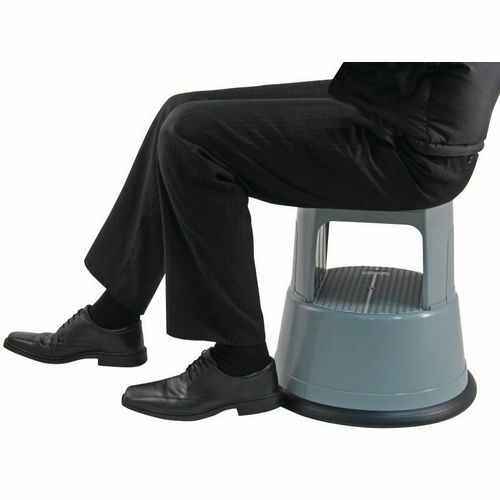 Our fully assembled plastic kick steps are a great addition to help employees easily access hard to reach areas and they are even useful as a spare seat when required.